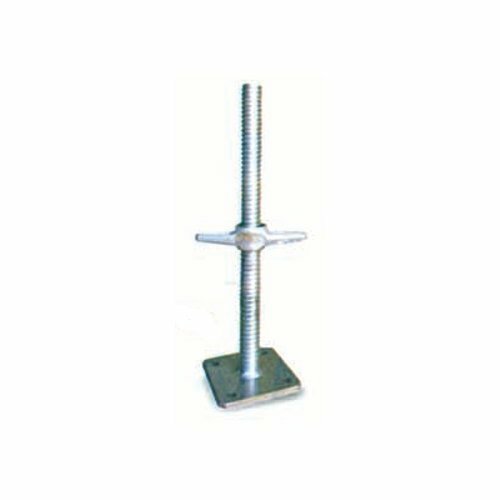 Our product range includes a wide range of u jack stirrup head. Adjustable Stirrup Head is widely used for supporting height adjustment between two joints. Stirrup head is made in 32, bright bar along with locking cut and u head 100 x 100 x 100 with 5 mm thick plate. These are perfect for the bottom of scaffold to provide an additional adjustment. Our offered range of scaffolds is highly demanded in the market for robust construction, superior performance and longer service life. We make these scaffolds available to the clients in customized designs and sizes. Looking for “U Jack stirrup head”?